AI, VR and AR are trending topics these days and there’s plenty happening in the tech world when it comes to either one. Daily updates can get overwhelming if you’ve set yourself on a regular hunt on different websites in hope of gathering all the necessary information in one go. Instead, there’s a better solution to stay informed about the latest developments from the field-personal newsletters. And we’ve collected some of the best, most extensive newsletters that will enrich your inbox, your day and will keep you updated on everything worth knowing about. Denny Britz is one of those passionate curators that know how to deliver the most valuable insights to the readers. The Wild Week in AI is a very detailed newsletter and is divided into several sections that will inform you about the latest news in AI and Deep Learning. Inside you’ll also find posts, articles and tutorials on the same topics. His newsletter issues contain separate parts that deal with code, projects and data. Lastly, you will stumble upon some useful highlighted research papers. This digest is about…you guessed it — artificial intelligence. Jack Clark is the “world’s only neural net reporter.” He also curates a weekly newsletter about the latest developments in the field of AI. The newsletter is a very extensive overview of the coolest new developments happening with AI and current news updates. Every piece of information is divided in a separate paragraph where Jack highlights the most important outtakes from the presented story and adds his commentary. There’s plenty of links that will enable you to get the whole story straight from the source. One of the most interesting newsletters about artificial intelligence you can find out there is AI Weekly. Every issue first contains a list of news items collected from various reliable outlets like NY Times, Bloomberg and many others. After covering what’s new, there’s a specific part dedicated to machine learning. For the rest of the issue you’ll discover articles on different topics like software, hardware, code or simply inspiration in regards to AI. This may be the the best source for in-depth news about virtual and augmented reality. With each issue, you get to learn about the most interesting and latest news from the fields of VR and AR. More importantly, the whole newsletter is written in an engaging way that grabs the attention due to the interesting discussions it presents. 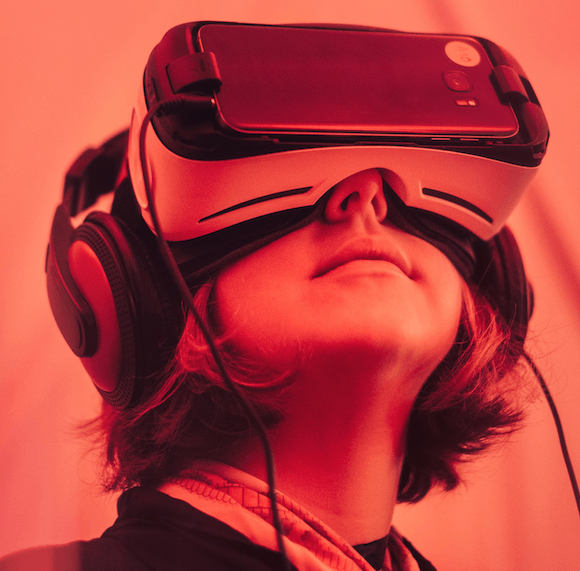 At the end of each edition, the curators share several jobs and events regarding VR and AR that make the newsletter that much more useful for readers. All news are selected from quality news publications, thus assuring you get the best pieces of content specifically curated for you. Nathan is a technologist and a former research scientist. With his newsletter, he delves deep into the topics of artificial intelligence and machine learning. Latest news from the industries are discussed with his added expert commentary. Other interesting sections of the digest are research, resources and VC financings and exits. His issues are more analytical, nevertheless very informational. Nathan touches upon the tech industry, the research world and the venture capital market. This monthly digest is one of the best ways to stay up to date on all that matters. This digest is mostly focused on machine learning and artificial intelligence. It is a very well structured newsletter. Firstly, the authors introduce a special guest-someone that has a deep understanding of the field who later on shares his or her thoughts on the future in the last section of the newsletter called “Where are we going?” Afterwards, the curators write up a summary of one “awesome” and one “not so awesome” pieces of news that have recently happened in the industries. From then on you can read what the authors are currently reading and recommending as well as other related to AI links from the community. According to their website, Hammer & Tusk is driving virtual and augmented reality into the mainstream. That’s why the newsletter is focused on delivering the most captivating stories and news right to the readers’ inboxes, weekly. Every issue begins with the headline of the week and then the curators dive deeper into different topics that deal with the exciting world of virtual reality by oftentimes including humorous posts, recommending cool VR experiences and sharing exciting stories. The curators are all about connecting enthusiasts and makers in the industries with the news they need. If you’re into Deep Learning Patterns, Methodology and Strategy as well as Artificial Intelligence, this digest will provide you with all the necessary information you might be craving. Carlos Perez has also put in the effort to organize the newsletter in such a way that more general topics are at the top and more specific ones are towards the bottom. In every issue you will find news from the fields and a special section which will update you on ongoing research. This is just coolness all around. This newsletter brings you important news from the industry. Inside you’ll also find engaging articles about VR & Filmmaking; ideas and thoughts on the developments from the industry; tips & tutorials; hardware solutions and some experimental materials that will transcend you into the world of VR. Cinematic VR is also about the immersive world of VR storytelling so you’re in for a treat! As the author put it best, “VR is not the future, it’s the present”.